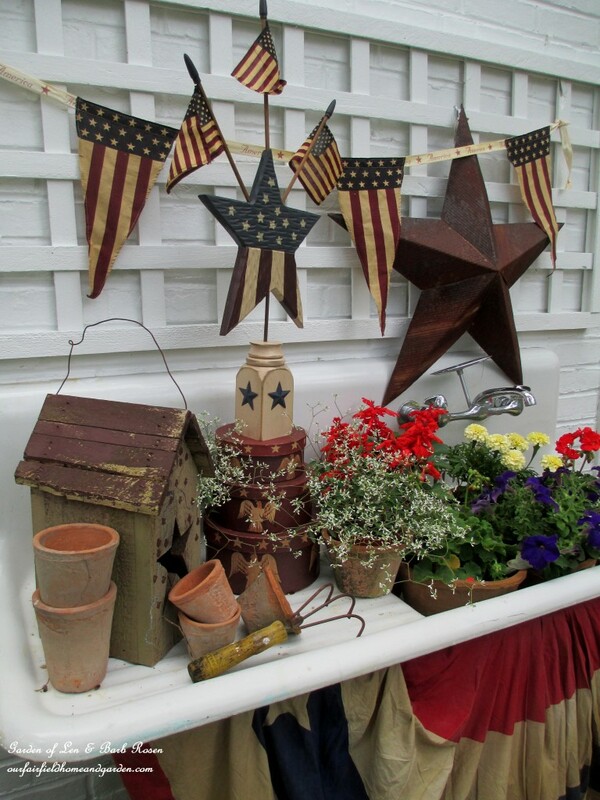 For our 1916 vintage potting sink, I decided the Fourth of July decorations should look aged as well. So I went for the tea stained look. At a local shop, Brickhouse Antiques, I found just what I was looking for: a Betsy Ross flag bunting , flags and banner! Their prices are so reasonable that I could get all three and add in red, white and blue flowers and other garden accents. 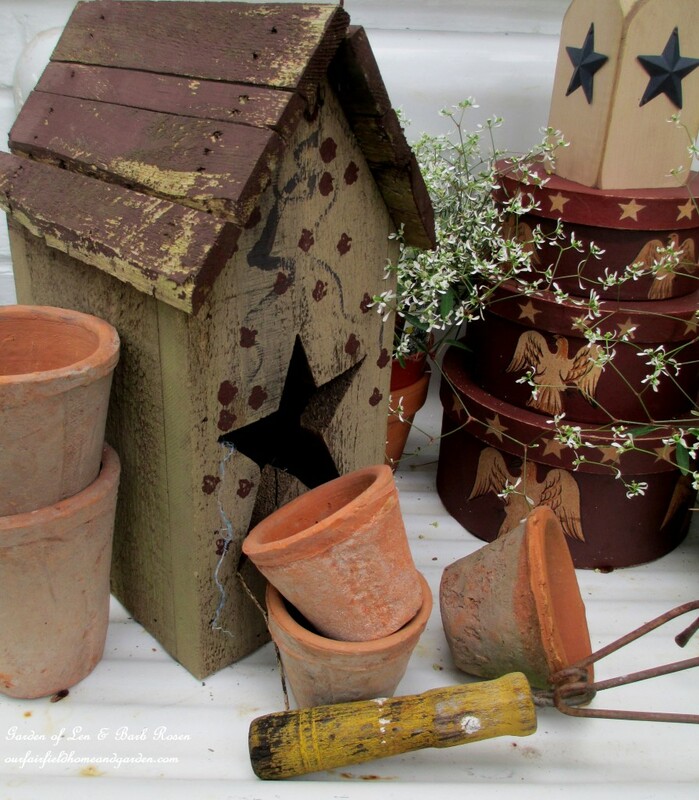 Out of the garden shed came some garden pots, tools and a birdhouse, too. Petunias (sort of blue! ), white frothy euphorbia, creamy colored marigolds, and bright red geraniums continued the theme. 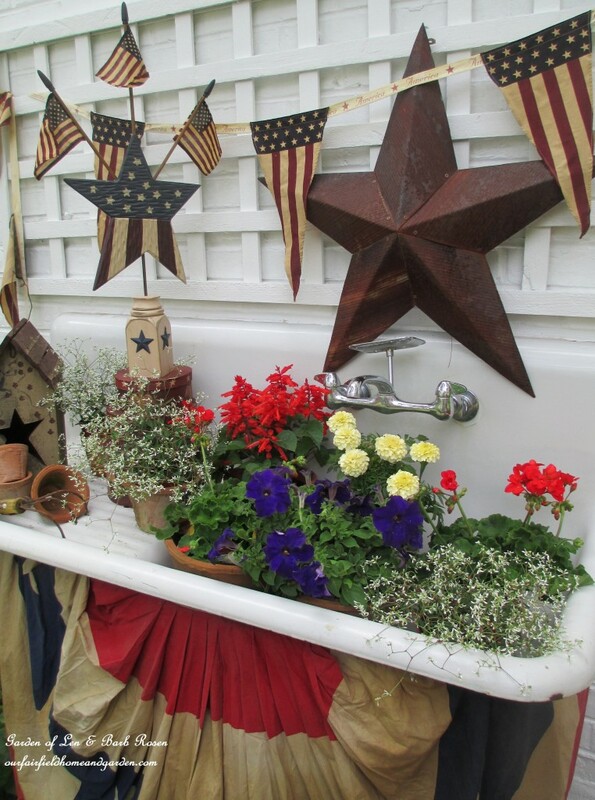 So now our Potting Sink has her fancy Fourth of July party dress on and is ready to add to the special day when we all celebrate our freedoms and being Americans. Happy Fourth of July everyone! 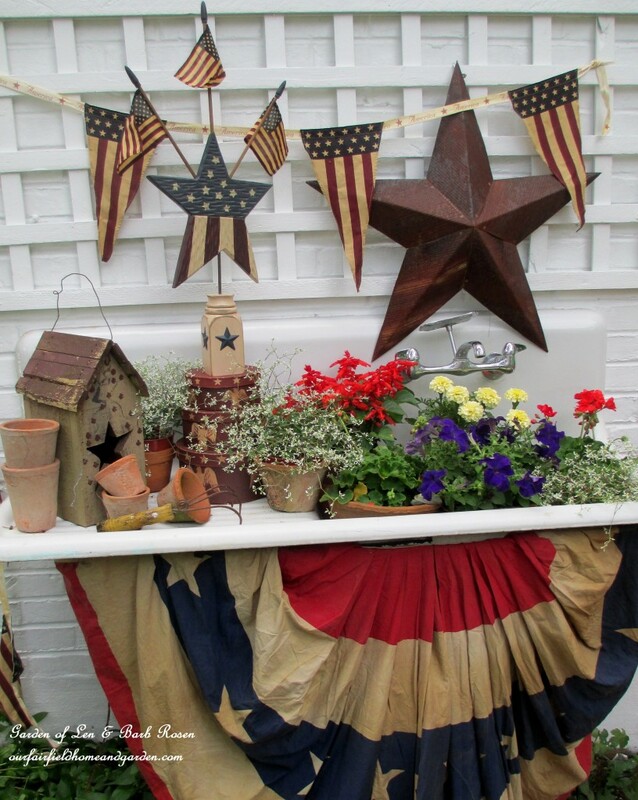 The Fourth of July dressing of our vintage potting sink. Tea stained banner and drape for a vintage sink. 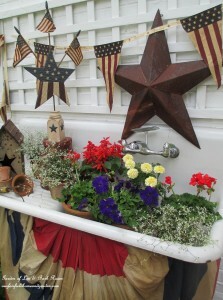 Red, white and blue flowers in the potting sink! 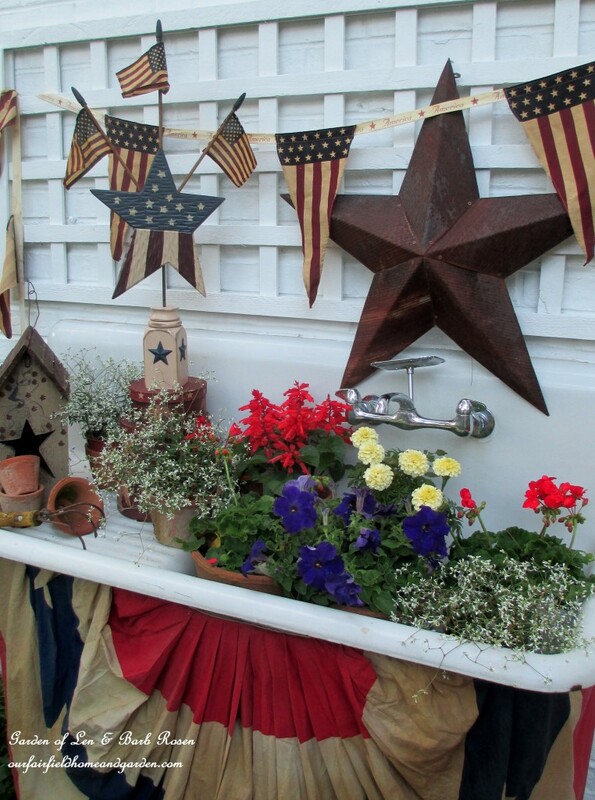 The Potting Sink decorated for the 4th of July!